Never mind the headliners, this London festival is reliably full of unsung gems. So you've got your ticket for Field Day. You're planning to see FKA Twigs, of course. Then there's the legendary Patti Smith, as well as festival faves Caribou, Mac DeMarco, HudMo, SOPHIE and A. G. Cook. But if you're wondering if there's anyone a little more under the radar who's worth squeezing into your schedule, we've got you covered. Here's five FADER-certified acts who are all making their Field Day debut this June 6th and 7th in London. You know what's better than a good feminist anthem? A good feminist anthem delivered in an Italo synth fashion with a combat-heavy video to boot. 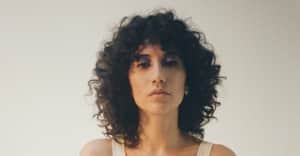 New Yorker Tei Shi is pretty damn great live—she blew away The FADER Fort at SXSW this year—and this is, for now, a rare opportunity to catch her in the UK. This Brighton-based house producer low-key dropped one of the sweetest dance records of 2014—check Music For The Uninvited if you haven't already. GEN F alum Shura makes the kind of sun-streaked, sleepy pop music that's going to set Field Day alight in the early evening; and maybe make the crowd a bit touchy feely too. London-via-Brighton five-piece Nimmo make synth-heavy pop tunes that stick in your mind for days; but what gives their live show that shiver factor is the onstage electricity between frontwomen and childhood BFFs Sarah and Reva. Basically, if spending a summer's afternoon jumping around to the PC Music producer's banger "In My Dreams" is not your idea of a good time, your soul is a skull emoji.